BlackLion and I spent about 3 1/2 hours yesterday working on our co-written novel draft. We hadn’t done anything with it since last summer. We’re using Rock Your Revisions by Cathy Yardley. We finished reverse-engineering our scene chart! Now we’ll be moving on to create GMC (goal, motivation, conflict) charts for all main characters. This is a terrific system for revisions. I feel good about getting back on track with this work! I’ve done some prep work for some of my goals: started to update the outline for my Daily Spiritual Practice book, worked on clearing my desk a little bit, and bought a couple of craft books to read and study. I’ve been doing meditation and journal writing every day, and last night took an evening walk. OK, now on to the geek stuff. I’m a Virgo, and I like to keep track of things. I have a small notebook of lists that functions as my day planner. Each page is for one day, and has appointments, reminders of daily practices, and also projects that I want to work on or tasks to complete for that day. I check off the ones I do, and forward the rest to another day. Because of this, I realized that I have a pretty accurate record of how long it took me to complete my Patterns in the Void first draft. It began as my NaNoWriMo project for this past November (2014). So, here are the stats I’ve compiled by going through my notebook of lists. A note: the amount of work done in any given day varies from an hour to probably 3 hours. I didn’t keep track of hours, but it probably averages out around 2 hours per day, as any focused writing session longer than that and my mind tends to wander off on its own. 117,094 word draft written in the time period from 11/1/14 to 4/3/15. Total length is 164 days. This means a total of 62 days of active work on the novel (plotting and writing). Obviously I took a lot of time away from working on the novel, post-November. December was consumed with family stuff and holidays. In late January and much of February, I had a slump where I just wasn’t working on it. I regained my motivation and did a lot of work on the novel in March. This says to me that I can write a novel draft in a relatively short period of time, especially when I’m motivated. This will become important as I ramp up my writing career. I’m feeling really good about all this. I mean, it’s the first full-length novel I’ve ever written by myself. I think I’m doing really well, though I know I have a long way to go to improve both my quality and productivity. The cool part is, I’m so excited about the whole process, eager to learn and practice. Onward and upward! Most of the advice given to aspiring authors includes, in one form or another, the encouragement to be self-disciplined. This ranges from a polite urging to show up at your desk each day to admonishments to sit down and “make” yourself write for a certain length of time, no matter how much you’re resisting or how uninspired you feel. I’ve always been the type of person who rebels at any imposed discipline, especially in connection with my creativity. I want to create when my inner spirit moves me, to follow the siren song of the muses when they call. The only trouble with that scenario is how quickly other things in life move into that space. The dishes: there are always more. The laundry: its never done. Facebook: the newsfeed is endless. Life is full of a myriad of options of things to occupy my time. Despite calling myself a writer, for a long time I didn’t really write all that often. 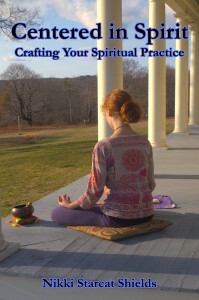 In the realm of my spirituality, I discovered many years ago that the benefits of having a regular practice far outweigh the need to make it an unmoving part of my daily schedule. In recent years, I’ve applied this notion to my writing life as well. How do I get better at writing? Write more often. How do I complete all these great projects floating around in my imagination? Write consistently. How do I find the time to write? Create it. Make it happen. Daily. Okay, okay, I get it. My most recent writing space, in the corner of the dining room. Despite being a lifelong night owl, I’ve found that my best writing happens in the morning. No way, not early morning. I’m talking about a 9:30 or 10am start, sometimes 11am. The house is quiet. I haven’t yet opened up my e-mail account or social media pages. I’ve emerged from the dream realm enough to make sense, but am still connected enough to let my inspiration flow. And it’s fun! I’ve learned to associate self-discipline with gentle encouragement, rather than harsh absolutes. I sit down to do my writing. If I can’t come up with anything to say, I feel crappy, or I’m struggling with resistance, I stop. I go find something else to do, for a while or maybe even for the whole day. I don’t feel guilty. I want my creativity to be a source of joy, not pain and suffering. It’s a gift, one that deserves appreciation and kindness. There’s no need to give myself a hard time about it. I know that the next morning, I’ll sit down again at the blank page and see what emerges. What about you? Do you have a writing routine? Do you resist self-discipline, or embrace it? I’d love to hear about your methods and ideas. I missed doing a Sunday update due to a very full day yesterday, but I wanted to still get in on it, as I have some exciting news. 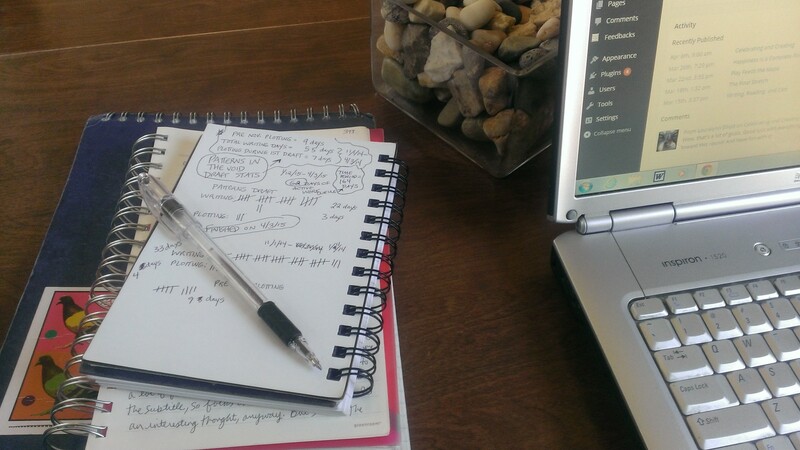 For the first time this round, I met (and exceeded) my word count goal for the Cultivating Self-Love e-book! I wrote 5596 words this past week (on a goal of 5000)! I was too busy to write over the weekend, other than some journaling, but this morning I’ve already written 1207 words. More importantly, I really like what I’m writing. It’s a first draft, so of course it still needs work, but I’m very satisfied with the direction it’s going. In addition to that, everyone I’ve mentioned it to has loved the topic and is eager to read it. I’ll take that as a good sign. So, no real updates on my other goals just yet. I do have some musings to share: I was intrigued by a writer friend’s post on Facebook, and that’s been sparking my imagination. She was talking about how a new book was percolating in her consciousness, and how much it affected her daily life: more daydreaming, wishing to harvest moments from life to put into the new story, and the like. While I write mainly non-fiction, I could totally understand what she meant. I find myself thinking of my narrative often, and choosing personal anecdotes and synchronicities to include. And when I’m in the creative flow, I often drift into my own imaginary world, enjoying the discoveries I make there. I’m feeling an opening toward maybe writing a novel. I’ve been scared to even consider it for years, frightened away by a bad experience with a college creative writing teacher and some personal baggage. But perhaps I can combine my passion for spirituality with my expansive imagination, and create something really worth reading. It’s still very much in the pondering stages at this point, but the opening feels good, and the timing is right. And my writing chops are certainly up, as I continue to practice my craft nearly ever day. Hmmm….. I learned that when selling your book(s) on Amazon dot-com, the most important thing to have is customer reviews. Potential customers who haven’t heard of you before will look at those reviews and ratings when they’re deciding to purchase. However, I was under the impression that for someone to review your book on Amazon, they had to purchase it through Amazon. Not so! To write a customer review, one needs an Amazon account (a login and password). That’s it. So you can ask people who have acquired your book through other means, like from a local bookstore, or as a gift from you, or whatever, to write a review for you. Remember to be ethical about it: simply ask them to write a review. Don’t tell them what to say, or try to bribe them in any way. Obviously, they should have read it first. Most likely, if it is someone you know, they’ll be happy to give you a review and thus help spread the word about how awesome you are. If you have any other tips about working with Amazon, or other online merchants, please leave them in a comment. I’m on a steep learning curve with book promotion, and I’ll continue to share what I learn. After the conference, my daughter and I ended up with a cold – which I guess was true for a lot of the folks who attended. So rather than jumping right back into a bunch of writing and creating, I’ve been napping, catching up on some reading, and generally taking it easy. *cough cough* I didn’t post a ROW 80 update yesterday, as there was nothing to report. 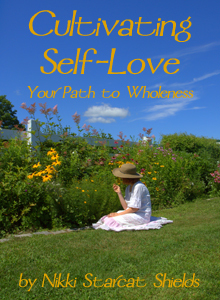 Today, though, I felt well enough to get back to work on the e-book, working title Cultivating Self-Love. I fleshed out the introduction, then read through what I’d written so far for the first chapter. Lo and behold, I like it! Re-reading it helped me get inspired again, so I wrote another section for that chapter as well, for a total of about 1200 words today. Woo hoo! Next up, catching up on some blog posts and listening to the episode of the online course, Shift Your Biz, that I missed while I was away. I’m not back to full health yet, but it’s good to be able to get back to my creative work/play. and a bunch of other small items that were haunting my to-do list, mostly planning and scheduling-type stuff. Yippee for bursts of energy and momentum! I hope I can sustain it, especially the work on the e-book. I’m excited about it, which certainly helps with motivation. Tomorrow is a busy day, but I hope to get some writing time in the late evening when I get home. It helps to be a night owl. Hoot! What are some of your favorite tools for your writing practice? I most often like to start my first draft on paper. I love Pentel fine-point black pens. Or sometimes gel pens, but usually black. Spiral-bound notebooks in bright colors and patterns are what I usually use for writing projects, and I keep one with me to jot down notes and ideas. I also journal a lot, and for those I like blank lined bound journals. When I transfer that first draft onto the computer, I use Word, and my favorite font and size is Garamond 12 point. I like the older version of Word that we use, not the newer one with the “docx” suffix. It’s mostly just because I’m used to the layout and features. I keep it pretty simple, not using a lot of bells and whistles. My laptop is an older model, a Dell Inspiron 1520, and it’s starting to show a bit of wear. I always back up my files by attaching them to an e-mail or (sometimes) using Google docs. 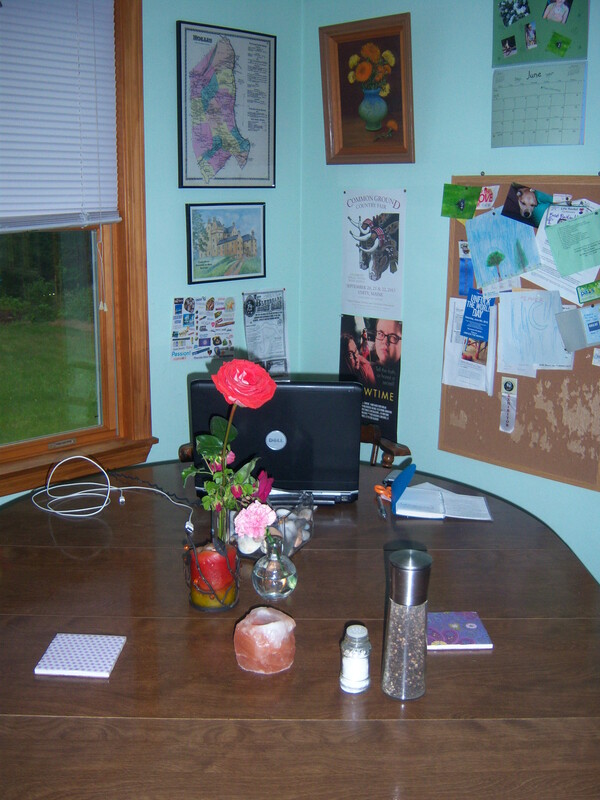 But the laptop is still my trusty writing and editing pal. When we upgrade, I’ll probably go with Dell again. For reading blogs and things like that, I love my Kindle Fire. I do read books on it, too, but I would stay that the majority of what I read is still in the form of good old-fashioned paper books. Please leave a comment and share your favorite writing (and reading) tools. Hi, I’m Nikki, also known as Starcat. I’m a published author. Yay!!! Ever since I was a little kid, that’s what I wanted to be. Now I’m 43, and my first book has just been published. Why did it take so long? Well, the old story. I bought into the culture’s tales about not being able to make a living as a writer, went and studied something else, had a pretty successful career…and gradually woke up to the fact that I wasn’t living my dreams or pursuing my passions. So I (mostly) quit my day job and here I am. Granted, I learned a whole lot along the way. I have skills that I’m finding very useful now that I’m working for myself. Things like organization, public speaking, and networking. I draw on my career in public radio, my earth-based spiritual practices as a Pagan priestess, and the sense of freedom and joy I have as a Mom to two always-unschooled kids. And I’m still learning (always learning); ethical marketing, social media, and spiritual entrepreneurship are among my favorite subjects right now. 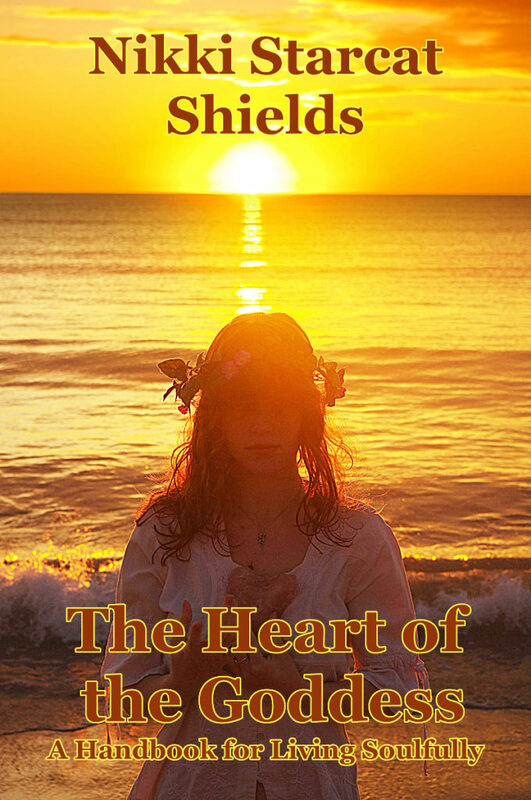 Most of my writing is non-fiction, centered around personal spirituality. So, why this blog? I’ve achieved my lifelong dream, only to find that there’s much more to do! The time came to promote my book, and there are many tasks associated with that big project. I’m starting some new creative projects as well, both for my business (my partner BlackLion and I run a website called Feline Dreamers, where we offer tools to help people live their spirituality every day) and for myself (I feel my second book calling me). It’s a lot to keep track of, even for an organized Virgo type like me. A few months ago, I noticed an intriguing post on Facebook from my friend Shan, a fellow unschooling Mom who I haven’t met in real life yet. It was a post linked from one of her blogs, and talked about something called, intriguingly, A Round of Words in 80 Days (aka ROW 80). I started following her blog. I was enthralled by her journey as a writer, and interested in the ways she organized her various projects and goals. I wondered if I should join in. ROW 80 participants are supposed to make twice-weekly updates on their progress, and give and receive encouragement and comments from their fellow writers. While the talk of word counts and WIPs (works in progress) fascinated me, I thought my regular blog readers would become bored. 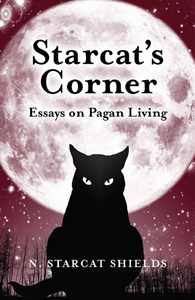 I usually write about spirituality and unschooling, and share my ponderings on living a spiritual life. This sort of behind-the-scenes writerly stuff could be an unwelcome interruption, so I put my ROW 80 plans on a back burner. Until now. Now I’m ready for the organization, support, and encouragement that I feel ROW 80 will bring to my virtual desk. So, with the help of BlackLion, who is a wiz at all things web, I started a new blog for this very purpose. Welcome, fellow writers! I’m sure we’ll be getting to know one another as I jump in with both feet to my first Round. In the meantime, if you’d like to know more about me, I’ve linked to my websites over on the sidebar. Come visit, if you feel so inspired. Blessings to you in your creative work!